Making an impact in criminal justice reform just got easier. Following the implementation of a new mobile advocacy platform, the National Association of Criminal Defense Lawyers (NACDL) unveils a new way to engage advocates in support of NACDL’s criminal justice reform priorities. Just text NACDL to 50457 to get started. Enacted December 21, 2018, the First Step Act modifies several federal sentencing provisions and mandates the creation of a new system for incentivizing participation in Bureau of Prisons programming. NACDL hosted a live webinar featuring sentencing expert Amy Baron-Evans discussing the ins and outs of the new law, with emphasis on potentially overlooked aspects of the most significant provisions. The 2018-19 edition of the Thomson West/NACDL Press treatise on collateral consequences is now available for purchase. Wayne A. Logan has joined Margaret Love and Jenny Roberts as a co-author of this comprehensive resource: Collateral Consequences of Criminal Conviction: Law, Policy & Practice. NACDL honored one of the most celebrated and prominent figures in popular music. Singer, songwriter, musician, producer, and political activist Stevie Wonder received the Champion of Justice Award on Thursday, January 10, at NACDL’s Race Matters II: The Impact of Race on Criminal Justice conference at the Millennium Biltmore Hotel, in Los Angeles. On Friday, January 11, 2019, NACDL presented the Civil Rights Corps and the San Francisco Public Defender’s Office, as co-recipients, with NACDL’s Champion of Public Defense Award at NACDL’s Race Matters II conference in Los Angeles, California. Awarded by NACDL’s Public Defense Committee, the Champion of Public Defense Award recognizes an individual or organization for exceptional efforts in making positive changes to a local, county, state, or national public defense system. Introducing a new and exclusive NACDL member benefit! NACDL has partnered with Association Health Programs to offer NACDL members a variety of health insurance programs. NACDL members can access information on health insurance policies, dental and vision insurance, life insurance, disability insurance, critical illness, travel insurance, and long-term care. This new NACDL report -- The Trial Penalty: The Sixth Amendment Right to Trial on the Verge of Extinction and How to Save It -- identifies and exposes the underlying causes of the decline of the federal criminal trial and puts forth meaningful, achievable principles and recommendations to address this crisis. On Aug. 7, 2018, NACDL released a compendium of original scholarship by symposium panelists at a law and policy symposium co-hosted by NACDL and the U.S. Chamber of Commerce’s Institute for Legal Reform, The Enforcement Maze: Over-Criminalizing American Enterprise. NACDL announced the establishment of the NACDL Fourth Amendment Center, a project made possible by support from the Charles Koch Foundation, FCJ, and the John D. and Catherine T. MacArthur Foundation. On March 1, NACDL Press released "The Feminine Sixth: Women for the Defense," a groundbreaking book on women in criminal defense by Andrea D. Lyon. Ms. Lyon is a leading criminal defense attorney, legal scholar, Dean and Professor of Law at Valparaiso University School of Law, and decades-long NACDL member. You can purchase The Feminine Sixth at www.thefemininesixth.com. Support the most important work taking place in criminal justice reform with a gift to the Foundation for Criminal Justice (FCJ). This is an important time for supporters of criminal justice reform. The nation's criminal defense bar is launching watershed projects that will set the agenda for years on issues including Brady disclosure, access to effective counsel, collateral consequences of conviction, and protecting the Fourth Amendment in the digital era. The FCJ is supporting vitally important projects that will make lasting improvements to the criminal justice system. NACDL is pleased to offer scholarship assistance for public defense providers to attend Continuing Legal Education programs. The scholarships are awarded in the form of full or partial reimbursement of the registration costs of the excellent training programs offered by NACDL and other national organizations. Limited travel reimbursement stipends may also be awarded to qualifying individuals to help defray the costs of travel and lodging. "NY State Court System Rules No ICE Arrests In Courthouses Without A Judicial Warrant," by Jake Offenhartz, WNYC, April 18, 2019. "CCRC opposes requiring federal job seekers to disclose some non-conviction records," Collateral Consequences Resource Center, April 18, 2019. "New Rules Limit ICE's Arrest Ability in New York State Courts," by Colby Hamilton, New York Law Journal, April 17, 2019. "The Queens Jogger Case Raises Concerns About Links Between Prosecutors and Judges," by Danny Lewis, WNYC, April 16, 2019. "Commentary: Fines and fees provisions at odds with the language and intent of Amendment 4," by Mark Schlakman, Orlando Sentinel, April 16, 2019. Technology makes lawyers more efficient, but lawyers must remember to consider the ethics rules when implementing systems and office procedures to manage client information and data protection. 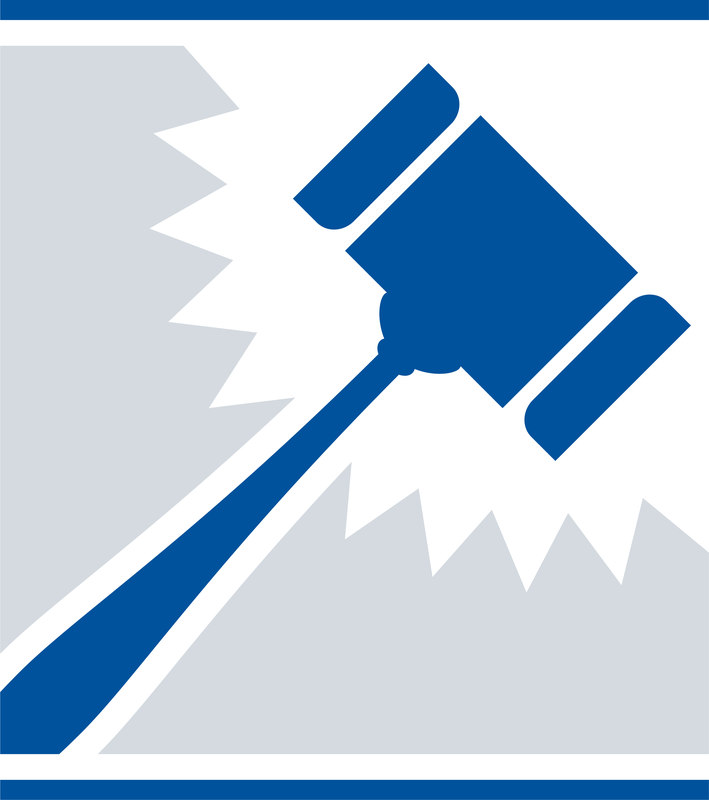 At its Annual 2019 meeting, the NACDL membership will vote on an amendment to NACDL's bylaws. The FCJ supports education, research, and litigation designed to attain the goal of a more humane criminal justice system.